By the 1960s, Omaha’s Near North Side neighborhood extended from Chicago Street to Lake Street, between North 16th and North 24th Street. Its increasingly common knowledge that during the 1920s, it became deeply racially segregated. However, one of the underreported realities of the neighborhood’s history is that it was deeply segregated economically, too. Until the 1950s, middle class families were mixed throughout the neighborhood. 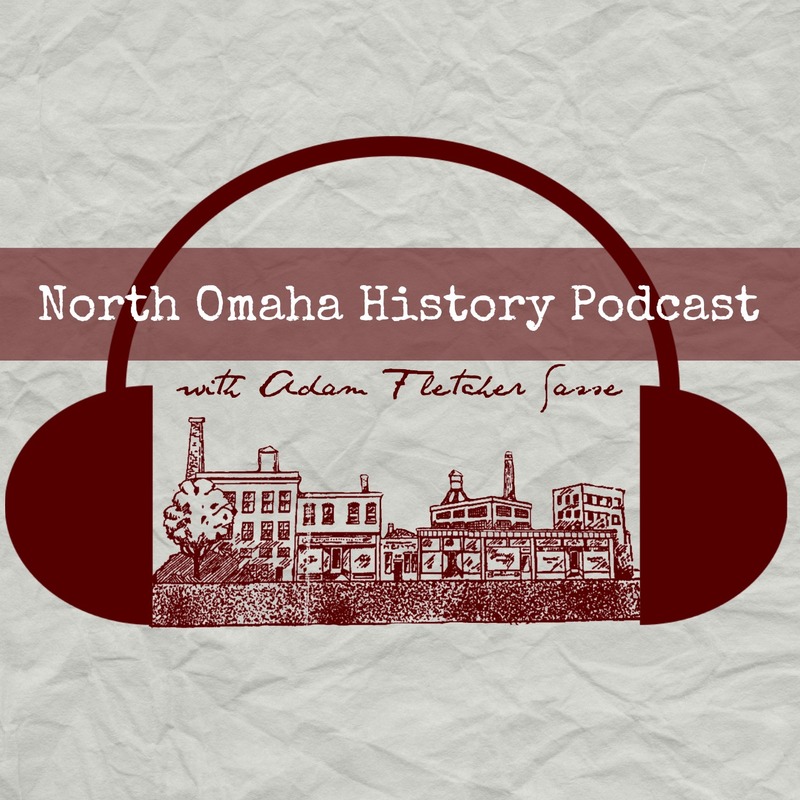 However, when they started to move to west Omaha and further north during that decade, low-income people and working class families were left in the Near North Side. The African American community was centered there, as well as remnants of some of Omaha’s Jewish, Eastern European, Irish and Italian immigrant families. Services were necessary for these low-income and working class families. Recreation, education and other activities during out-of-school time were provided by nonprofit charity organizations. One of those was North Omaha’s Eugene Eppley Boys’ Club. Boys’ Clubs of Omaha advertisement from 1963. Before he was mayor of Omaha, businessman A.V. Sorensen began brokering a deal with the Eugene C. Eppley Foundation. Eppley had passed away in 1958, leaving behind his hotel fortune to fund a variety of charities he cared about. A local businessman named Richard P. Callahan was credited as being the founder of the club, and the one who brought Sorensen on board. Callahan partnered withL.J. Ward, a retired college professor, to started a club for boys in the 1950s. Callahan went to Sorensen, and with Sorensen’s interest and financial support the club was able to rent the basement of the Salvation Army Church at 27th and Mason Streets to serve about 100 boys. When the Boys’ Club of Omaha was incorporated in 1961, Sorensen was elected president of the board of directors the first three years. He then served as chairman of the board until 1971. When the center opened, the Omaha World-Herald reported more than 4,600 boys ages seven to 17 lived with a mile of the Boys’ Club. It was excited to report that 75% of these young men didn’t have affiliation with a church or other youth organization as rationale for opening the club. Sorensen stated that 29% of the boys came from “broken” homes and couldn’t afford to pay membership fees. In 1961, the Eugene C. Eppley Foundation donated $432,000 to the Boys’ Club of Omaha to build a massive center on North 20th and Burdette Streets. In honor of this donation, the center was named the Gene Eppley Boys’ Club. One report says the City of Omaha donated two city blocks to the project, and that’s where the club was for the next 40 years. Another said that Ak-Sar-Ben donated the land, which was the site of the original Ak-Sar-Ben Den, which was built in the 1880s and burned down in 1927. A.V. Sorensen was called the father of the project who gave “unstinted time and effort.” At the time, he was quoted as saying that he was pleased the club “would replace blight with light.” He was named the chairman of the 80+ person initial board of directors for the club. Warren Buffet was a secretary for the club in the 1960s. The first program director of the Gene Eppley Boys’ Club was William R. Hinckley, who they hired from Locust Valley, New York, where he’d directed a Boys’ Club for more than a decade. The ground was broke for construction on May 20, 1962. This is the groundbreaking for the Gene Eppley Boys’ Club on May 21, 1962. When it was opened at 2200 North 20th Street, there was a gymnasium, swimming pool, library, craft rooms and classrooms in the Gene Eppley Boys’ Club. There were also baseball diamonds, playgrounds and tennis courts at the club. 1,800 boys had joined by the time it opened. In 1971, the North Omaha club was expanded by 10,000 square feet. The Boys’ Club of Omaha Henry Ogram Administrative Center was built across the street in 1981. In 1983, the Peter Kiewit Foundation made a $275,000 grant to the North Omaha Boys’ Club. Recognizing that the building was more than 20 years old, the organization’s leaders upgraded the floors, walls and doors, as well as plumbing and electrical, mechanical equipment and recreational equipment. There were approximately 4,000 boys being served by the Omaha Boys’ Clubs at this point. William “Bill” Hinckley arrives for the first time at the Gene Eppley Boys’ Club in North Omaha. A Boys’ Club membership cost $1 a year, but boys who couldn’t afford it could work to pay their dues. In 1964, the South Omaha Gene Eppley Boys’ Club was opened, and a few years later, the Gene Eppley Ranch in Carter Lake, where boys from Omaha were treated to time in a more rural setting doing outdoor activities. The North Omaha club built an addition to serve older boys in the early 1960s. Executive director William Hinckley was credited with the growth of the Boys’ Club in Omaha after coming to direct the North Omaha Gene Epply North Omaha Boys’ Club. In addition to his work in New York, he also worked in Boys’ Clubs in Detroit and Washington, DC. He pushed the club to grow, including the Gene Eppley South Omaha Boys’ Club and the Gene Eppley Boys’ Club Ranch in Carter Lake. Built on 35-acres, it included a swimming pool, pavilion and summer day camp. Officially called the Carter Lake Henry Ogram Boys Club, it was built with a $100,000 gift from Henry Ogram and a $150,000 grant from the Peter Kiewit Foundation, and was opened in 1981. Herbie Hancock visits the North Omaha Gene Eppley Boys’ Club in April 1979. Between 1967 and 1972, the club won six national awards. Hinckley, the director, claimed the club was never damaged during the rioting throughout North Omaha, despite being just a few blocks from the worst of it. Hinckley himself won several awards throughout the years, including in 1972. That year, the club held a special recognition dinner for Hinckley, flying in his relatives from across the country, as well as past and then-present members of the Boys’ Clubs where he’d served in other cities, and in Omaha. The founding executive director, William Hinckley, stayed with the club for 25 years, retiring in 1983. He died in 1989. After him, Tommy Davis led the club for six years. Mary Dean Harvey led the organization after Davis, starting in 1995. Thanks to Boys’ Club, many of us escaped the social suicide trap and are now productive citizens in Omaha and across the nation. We love our Boys’ Club and those people then and now who make it possible for young men to beat the streets and escape the social suicide trap. Hinckley died in October 1990. The Boys and Girls Clubs of Omaha created a special award to honor him called the William Hinckley Award in the 1990s. The North Omaha unit of the Boys and Girls Club of the Midlands is located at 2610 Hamilton Street. In June 1997, the Gene Eppley Boys and Girls Club bought the former Flanagan High School at 2606 Hamilton Street from Boys Town and moved there. Two years later, in 1999, the former Gene Eppley Boys’ Club in North Omaha became home to the Hope Center, a nonprofit, faith-based tutoring and enrichment program. It continues operating there today. The Boys’ Club of Omaha eventually became the Boys and Girls Clubs of the Midlands (BGCM), which has changed, expanded and continued growing with the times. In the early 2000s, BGCM then sold the building to Omaha Public Schools and kept part of the land to build a new Club, which opened its doors in 2005. Today, the North Omaha facility on Hamilton Street is bustling at almost all hours, and the reports continue to be strong about the present and future of the organization. There are also BGCM extension sites at several schools in North Omaha, including Druid Hill, King Science and Technology Magnet, and at the Skinner Magnet Center. Two boys lean over the insignia of the new Gene Eppley Boys’ Club in North Omaha in 1962. Boys work at a machine at the North Omaha Gene Eppley Boys’ Club in 1971.